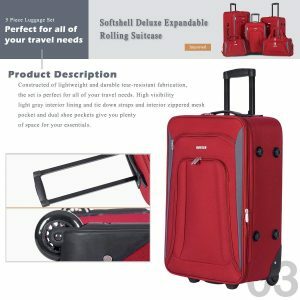 Flieks 5 Piece Soft Shell Deluxe Luggage Set includes three pieces of upright suitcases- 21″, 25″ and 29″, a 15″ flight bag and an 18″ travel bag. You may purchase this set in blue, gray or red, with the blue four dollars cheaper on the day of this review. As a popular new release travel product on Amazon.com, it is rated by 35 customers and the average score is 4.2 out of 5 stars. 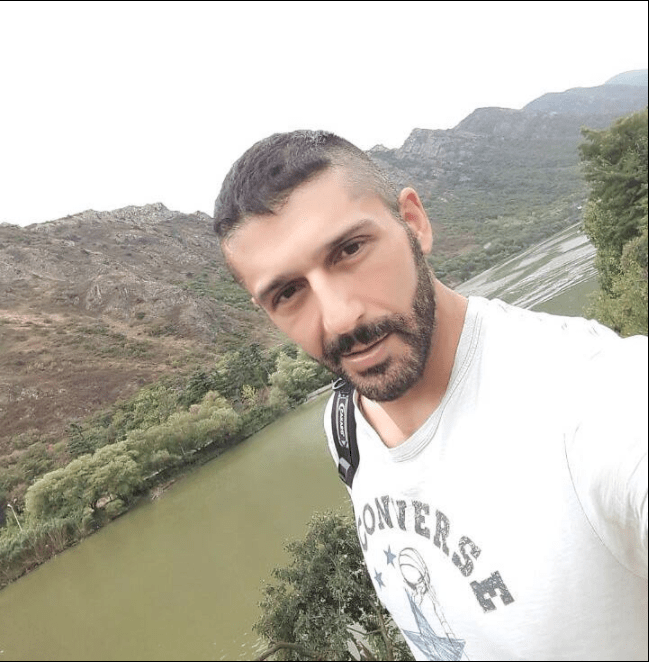 The soft shell exterior is made of hundred percent polyester that is sturdy, tear-resistant and lightweight that should prove durable over many years of use. You’ll have these different sizes of unisex bags at a very reasonable price and you can use them on your different types of travel, for business and fun. The three upright bags have two inline skate wheels each, not spinner wheels. But you can still move them smoothly and without much effort by holding the internal retractable push-button handles. You can put your passports and boarding cards and other items you want to access easily at the airport. You’ll save on space by putting the bags into each other conveniently, from the smallest to the largest. And this is how you’ll receive this 5-piece set via Amazon.com. 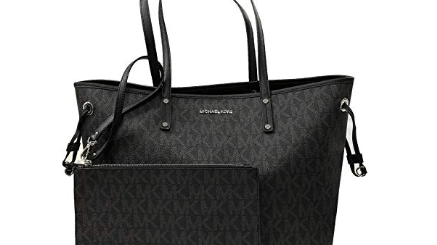 You’ll find the tie down elastic straps, a zipped mesh pocket as well as the dual shoe pockets inside the suitcases where you can put your essential items. You’ll get up to 25% more space when you need it with the expandability of the suitcases through the middle zippers. There is the bottom grip for lifting the suitcases easily and the side and top carry handles for horizontal or vertical lifting. 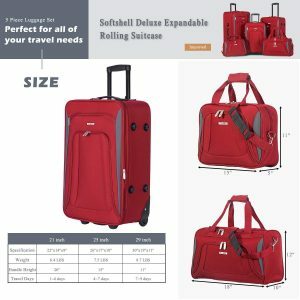 The 15″ travel bag weighs 1.1 pounds and measures 15 x 11 x 5 inches, while the travel bag is 1.6 pounds and 18 x 11 x 10 inches. Both can be used as cabin bags to be taken on board, just like the 21″ carry-on suitcase that weighs 5.9 pounds and measures 21 x 14 x 10 inches. The medium size 25″ (7 pounds and 25 x 16 x 11 inches) and the largest 29″ (8.6 pounds and 29 x 18 x 12 inches) are good as main luggage to be checked in at the airline counters before your flight. There is a three-digit plastic non-TSA side combo lock on each bag that you set to your own digits that you shall remember easily. You’ll find the instructions for setting it in the package. You should receive them within three to five business days via Amazon.com. For how much you’re paying they are well constructed, look and feel nice, have a few pockets for smaller items. The negative reviews are mostly because of the way they were treated by the airport luggage handlers. And these are not expensive hardshell bags and you can’t have very high expectations. If you’re on the market for a budget set that will offer a fair amount of durability and the flexibility of having different sizes and shapes, then this set is worth considering. Despite its rather low price you are offered a warranty of one year by the manufacturer, along with good customer support.